Hosts Amy Collins and John Kehayas are excited to welcome you to The University of South Florida in Tampa for the 48th annual conference of the International Double Reed Society located in beautiful Tampa, Florida. Tampa is located on the west coast of Florida, close to gulf beaches and offers major tourist attractions, such as Busch Gardens, Adventure Iswland, Lowry Park Zoo, and the Florida Aquarium. Walt Disney World is about one hour away. Tampa International Airport is highly rated as the second best airport in North America. Many major airlines service Tampa Airport including Delta Airlines, JetBlue Airlines and many more. Tampa International Airport is located about twenty minutes west of the university. Busch Gardens is the ultimate family adventure park, offering 297 acres of fascinating attractions based on exotic adventures around the world. A unique blend of thrilling rides, one of the country’s premier zoos with more than 12,000 animals, lives shows, restaurants, shops and games. 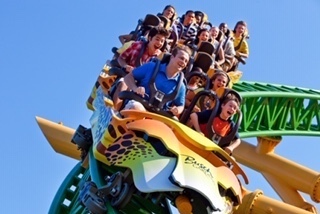 Busch Gardens provides unrivaled excitement for guests of every age. Shuttles will begin pickup around 6:00 PM at the main hotels, as well as the school of music and return IDRS guests back to the school of music and/or the IDRS hotels. International Double Reed Society 2019 Conference guests arrive at Busch Gardens Tampa Bay and upon arrival guests are able to use their dining certificate. Dining certificates redeemable at select restaurants. 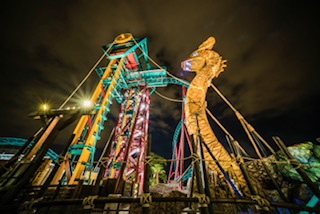 International Double Reed Society 2019 Conference guests enjoy a private area rental of the Cheetah and Egypt Areas with Cheetah Hunt, Montu and including one of Busch Gardens’ newest attraction: Cobra’s Curse! In the Cheetah Area a DJ will be playing fun music and in the Egypt area guests have an option for game purchases to test their skills. Guests have an option to purchase Premium Beer and Wine during group’s exclusive time. Learn more about our upcoming 48th annual conference, view the schedule and browse artist bios. Hotel and dorm information. Visit idrs2019.org to book with our special IDRS rates! Register for our upcoming conference, purchase parking, shirts, and Busch Garden tickets. Volunteer about 4 hours a day in exchange for a 5-day pass. Applications are due April 8th! Register as an exhibitor and view vendor prices and information. The Dorothy Nielsen Sponsorship covers a 5-day pass for need-based applicants 21 and under. Apply by April 15th!